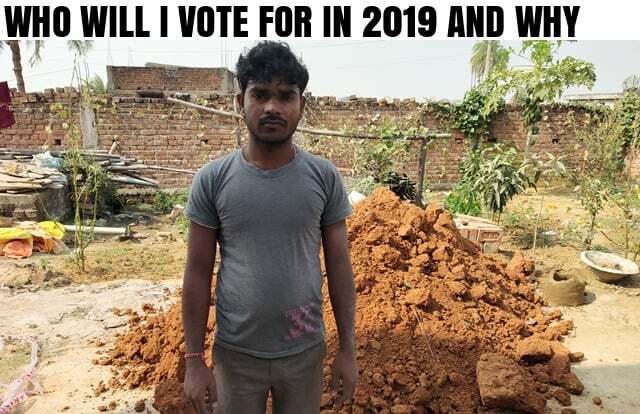 The 2019 elections are special for me. I will vote for the first time this year. My voice too will be heard; my vote too will play a role in the formation of a new government. I might be a first-time voter but I shouldn’t be mistaken for being naïve. I am well aware of the social, economic and political issues in the country. Politicians too need to have a good understanding of these issues, and in my opinion our Prime Minster, Narendra Modi, understands them thoroughly. The only thing I am miffed about is the steady rise in the price of petroleum products. The government has not been able to keep the price rise in check. Today, I have to think twice before taking out my bike for a ride. I do it only when I have to go somewhere urgently. Outings merely to unwind or relax after a hard day’s work are no longer there. The fuel is burning a hole in many a pocket. If you talk about demonetization, it didn’t affect people like me who work on daily wages, ‘apna toh roz ka kamana, roz ka khana’ (we live on a daily basis). We don’t hoard cash and thus when demonetisation happened, it was pretty easy for me to get the notes in my possession exchanged. I believe the note ban was a courageous move that no other leader could pull off. There is not one leader in the Opposition of this calibre. People say that political decisions should be taken with a cool head. But I feel sometimes, one should strike only while the iron is hot. Decisions should be taken with a courageous heart at the right moment. Only then a real change will come. I believe in the dictum ‘Apna hath jagannath’ (Your destiny lies in your own hands). And I believe I share this trait with our Prime Minister, Narendra Modi ji. This means we keep our focus on what can be done and not what cannot be done. No one is perfect and we will keep making mistakes, but we can’t be living in doubt. When it comes to decisiveness, the Opposition pales in front of Modiji. Good or bad, our PM is at least proactive. I sincerely hope that he will learn from his mistakes and come back in 2019.